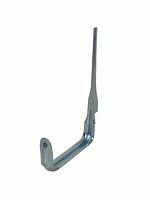 K Style Downspout Hooks are used for securing rectangular downspouts to the wall. 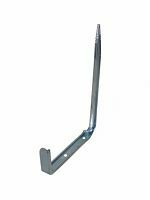 Brick Hooks: for securing downspout into the mortar of a brick or stone exterior wall. Sickle Hooks: for securing downspout into a wood exterior wall.